The Poodles lineage dates far back into history. It’s most commonly believed that its true origin came from a German dog (having come from Asia beforehand), but that the actual Poodle was bred in France some centuries later, although the exact timeline is unknown. What we do know is that there are depictions of a Poodle (or the likes of) found in artifacts that date as far back as the Egyptian times. The Miniature Poodle, however, is thought to have come into existence in the 15th century. A common misbelief is that the breed spurred from Poodles mating with smaller dogs when really it was just the runts that were mated with each other. Thus you have three different types of dog within the same breed: the Standard Poodle, mid-sized Poodle (although these aren’t as common anymore), and the Miniature Poodle. The Miniature Poodle’s main purpose was to service the wealthy as a companion (rooted deep in the French aristocracy–also their national dog). It was a dog specifically woven (and in some ways still is) into nobility. They were glamorized for their posh elegance and proud demeanors. But across the board Poodles were used as show dogs, hunting dogs, and home dogs for centuries. They came to America with the colonists, and the AKC recognized the breed at the end of the 19th century, in 1887. The breed was registered as one, meaning within the Poodle registration was both the Standard and Miniature Poodle. The Miniature Poodle personality is dignified and confident. These dogs are often unaware of their small size, and they carry themselves like a regal prince or princess. Despite their stubborn confidence, they’re an incredibly loving dog within the home, one of which that is both intelligent and steadfastly loyal. They love to be the center of attention and love to give in return. The Miniature Poodle characteristics are said to be the most anxious of the line. If bred and raised improperly, the poodle can be tireless and aggressive. This is a topic up for debate–and of course when you factor in their upbringing the subject matter changes completely–but often the difference is quite apparent in poorly trained Mini Poodles. They have a moderate temperament, and even though they’re elegant and well-mannered, have a very funny clown-like behavior when around their loved ones. They love to play and they’re smart enough to get themselves into trouble, or challenge their owner when they have the chance. All-in-all, the Miniature Poodle behavior is spunky, loving, incredibly intelligent (which makes them very trainable), and playful. There’s a reason why Poodles are one of the most (if not the most) common show dogs in existence. Apart from their regal aesthetic, don’t forget that they’re smart and docile enough for the job. These dogs have been trained for various different utilities–especially taking into consideration their hunting history–and are still trained with the same versatility today. It’s incredibly important to take your Miniature Poodle to obedience classes, as they’re intelligent enough to pick up on everything, meaning if you don’t handle them properly within the home you’ll teach them the wrong thing (and it’ll stick). They love the stimulation they receive from their training in class and know to bring the lessons home. At home, be soft but consistent with them. These little lovers think the world of themselves, but inside can be relatively insecure, meaning if you’re too firm or too much of an alpha presence you run the risk of triggering their sensitivity. Barking can be an issue with this breed, but positive reinforcement is the best tactic in their home training and in mitigating this particular issue. Early socialization is important too, being that Miniature Poodles need to be exposed to the world in order to develop those personalities they’re known for. They shouldn’t be aloof or aggressive towards other dogs or people, and that temperament is more often than not linked to how well they were socialized when they were younger. You’ll be happily surprised to discover just how enthusiastic your Miniature Poodle is when it comes to exercise, and just how much they can do for a smaller dog. Their hunting roots actually give them a bit of prey-drive, and to top that they’re great swimmers, love the outdoors, and have a ton of energy to outgrow. That being said, you can’t expect an adventurer out of them, as they’re smaller dogs with a smaller exercise requirement. A daily walk should suffice, something brisk and quick (so they don’t get tired), with a couple of play sessions in the yard or even in the apartment, since they’re small enough to do so. Sometimes, these dogs can find a spot on the couch and never want to leave, and thus in their later years the owner needs to take on the role as motivator and ensure that their Mini Poodle is still working those muscles. Even if they’re not gaining weight, they need exercise to remain healthy. A Miniature Poodle typically lives anywhere from 12-15 years. Are Miniature Poodles a Popular Breed? The Poodle ranks 7th on the American Kennel Club’s most popular list of 155 dog breeds. That means they’re in the top ten, and for good reason. Not only have they been around since the beginning of America, but they’re also a perfect companion; intelligent, loyal, loving, playful, and athletic. Their presence has only grown within the states since the 19th century, and they’re still as versatile as before, with some in entertainment and others assisting diehard hunters (and then most as wonderful pets). The recommended amount to feed a Miniature Poodle is around 1 cup of dry food per day, broken into two equal meals. Be sure to buy the highest-quality food, and to monitor their diet carefully. They can be fickle about their food choice (oh such an appropriate characteristic when taking their history into consideration), and it might take time to find a product that works indefinitely. Age, weight, metabolism, and activity level are all important factors to consider when administering a balanced diet to these little canines. They’re not glutinous about their food–often the opposite–but make sure to consider all of these as you feed them, especially as they’re growing. The Miniature Poodle’s coat is one of its most definable characteristics. For one, people with allergies often purchase these dogs, as they’re said to be naturally hypoallergenic. For two, these coats bristle with elegance, and if well kept truly signify why they were chosen by the French aristocracy so many years ago. While these dogs don’t shed, that doesn’t mean grooming their coats is an easy process. In fact, if you’re purchasing a poodle and want it to look like those you see on the TV, expect to spend some serious money. A proper Miniature Poodle (although it certainly doesn’t take as much as a Standard Poodle) will need to be groomed every couple months, if not more often. Thing is, their hair grows incredibly fast and has a propensity to tangle. Some owners simply shave their dogs on their own, but even that requires a fair amount of time, and then the proper bathing and cleansing that comes afterward. If you’re not keen on the idea of spending a ton at the groomer, it’s recommended to simply take some lessons on how to properly groom them, buy the essential equipment, and do it at home. While this method isn’t as costly, it’s certainly more time-consuming. Aside from their coats, hygiene upkeep is a weekly process. Brush their teeth 2-3 times a week to avoid tartar and bacteria buildups, and trim their nails monthly (these little guys rarely wear them down on their own). Examine their ears, eyes, nose, mouths, and bodies for anything suspicious. This includes inflammation, redness, rashes, infection, and parasites. These thickly-haired little canines can harbor a lot in their coats, and that needs to be accounted for. 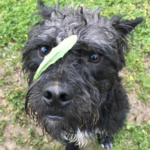 Use these sessions as mini ‘obedience courses’ early in your dog’s life, so to accustom them to the grooming process in the future, as it’ll be a weekly occurrence for them ongoing. Are Miniature Poodles Good with Children? The Miniature Poodle is generally well-tempered with children. If raised at the same time and both introduced in their earlier ages–and taught how to properly interact–they’re playful, protective, and full of love with the young ones. However, this is a small, fragile canine that’s prone to injury if played with too roughly, and that needs to be considered with smaller children. They can also be aggressive or ‘yappy’ if not properly socialized with youngsters, making them a poor choice for a home with kids if they’ve been a one-person dog in their youth. But generally, they’re decent, tolerant, and can grow to become their greatest companions. Cushings Disease: this occurs when there is an overabundance of cortisol in the body of a Miniature Poodle. It usually spurs from a faulty adrenal gland, and the symptoms show themselves through excessive urination, a never quenched thirst, and a difficulty digesting food. There are treatments, medicine, and surgery available for this condition. Addison’s Disease: another condition which spurs from a faulty adrenal gland, this serious disease is caused by an imbalance of hormones. The symptoms include heavy vomiting, a loss of appetite and energy, and longer than usual sleep cycles. Thing is, since these symptoms aren’t drastic in their nature, the disease often goes undiagnosed until it’s a serious problem (it can evolve and affect the cardiovascular system). Epilepsy: similar to humans, Epilepsy causes seizures. In the dog world, that means they’ll run from ‘ghosts,’ bark at nothing, walk abnormally, and sometimes freeze up entirely. Although Miniature Poodle seizures can signify something other than epilepsy, this disorder is still the most common proponent. However, it’s usually not an end-all condition and there are treatments available to help mitigate the seizures. Hip Dysplasia: not as common in smaller dogs, hip dysplasia occurs when there’s displacement in the hip joint. It can cause severe pain when walking, an abnormal gait, lameness in the leg(s), and at worse immobility. The condition can be screened for by use of X-rays and other tests, making it even more important that your breeder provides clearances for your pup’s parents. There are treatments and surgery available for this condition, dependent on its severity. Someone recommended Canna-Pet and we decided to try it. What an amazing difference! Beau is happy, hungry, spirited, and I swear his cataracts are improved! He is a much healthier dog in every way. I have recommended Canna-Pet to friends all over the world! He is so much calmer regarding neighbourhood stimuli and with visitors since he’s been getting Canna Pet. We are so grateful to have found this! (It’s) help him relax and be able to walk on our wood floors. Ruby has returned to a youthful dog, walking normal & she has a happy spirit again. He has gone for several months with no seizures. 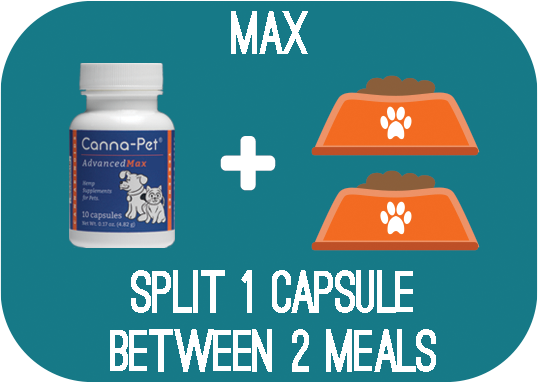 We are incredibly grateful, we found Canna Pet for their superior formula. It has worked miracles for Toby. This product is a blessing for me and Coco because it helps her age more comfortably and I am grateful my veterinarian is open to alternative treatments for her furry clients.